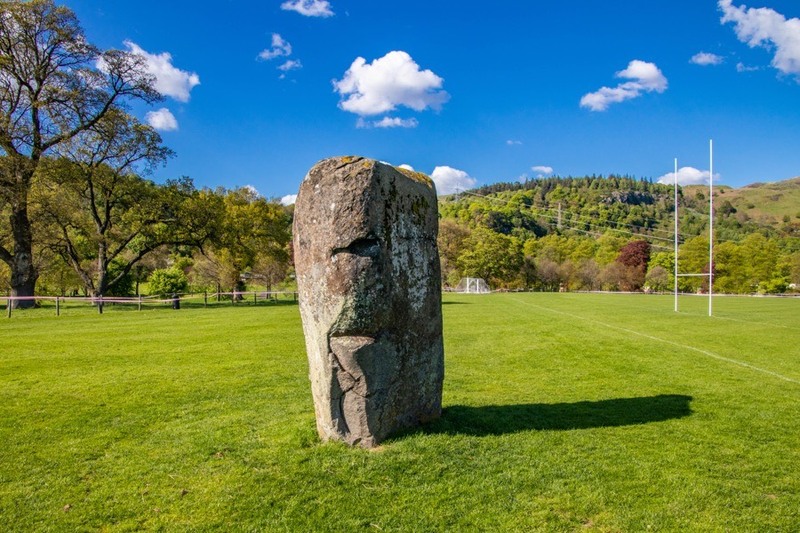 The Airthrey Stone, sometimes referred to as the Airthrey Castle standing stone, is a massive block of grey dolerite measuring some 2.7 metres in height. 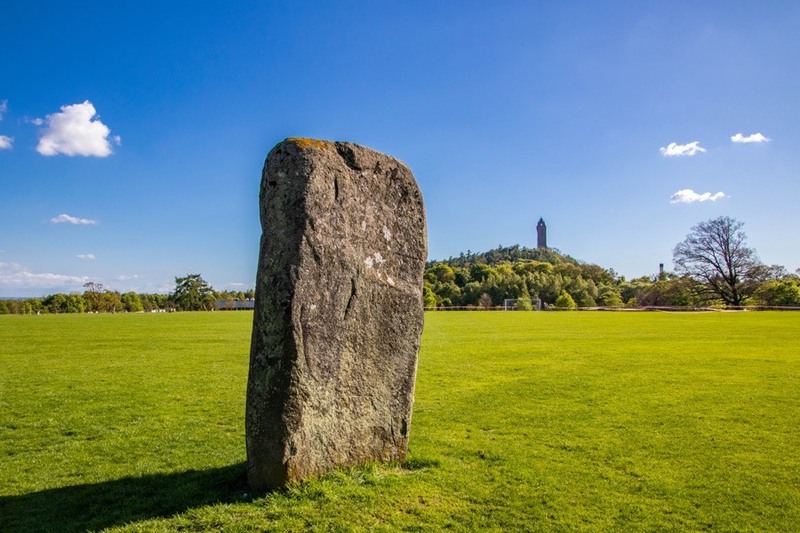 The stone stands on the playing fields of the University of Stirling which were formerly a part of the Airthrey Castle estate. Around 900 metres to the west is the Pathfoot Stone. 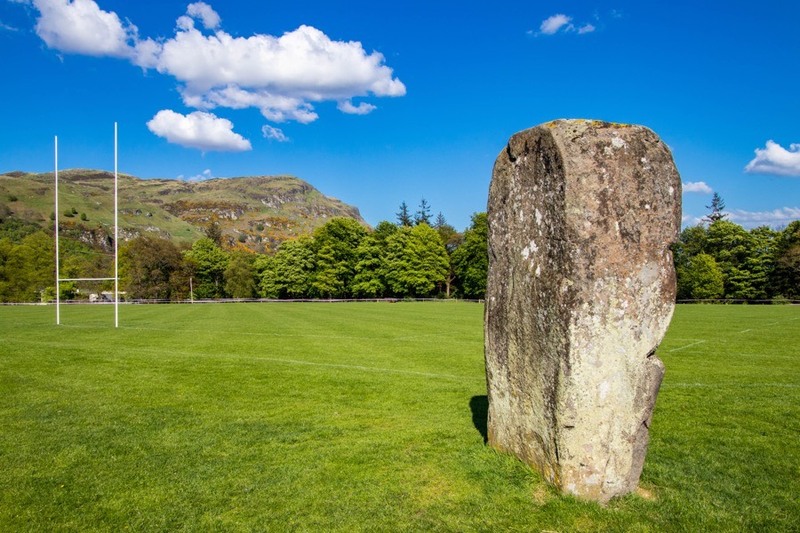 Airthrey Stone is in the parish of Logie (Stirlingshire) and the county of Stirlingshire. Published on the 14th of May 2018 at 3:59 pm. Updated on the 31st of July 2018 at 6:21 pm.